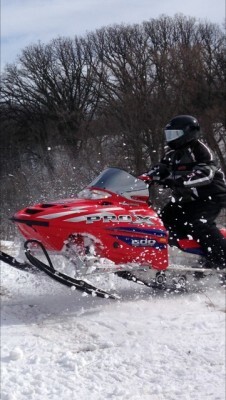 Sled is in excellent condition; no dents, dings, no accident, no tear/rips in seat. Always stored inside and has only 2,522 miles. Includes: Windshield pouch, Polaris cover, 6” handlebar risers, heated helmet port and a HJC CL-16 XXL Helmet with regular and heated visor. MN registered through June 2018. Asking just $2,500 for all. Please leave a message if we don't catch your call.